Please Don’t Leave Your Children Alone! © SKYDIVECOP – Fotolia.com All rights reserved. American city – a city where people should know better. police car, and was finally apprehended by police forty-five minutes later. The family’s pit bull was also in the car but that didn’t deter the suspect. might be left abandoned in freezing temperatures. been so scared for their safety that I couldn’t bear to leave. taken my children into the store with me. hotel found that out. His car was stolen with his baby in it! from heatstroke in the summer. it’s more work to drag kids in and out of the car, especially in the winter. because it’s so much easier and faster. to keep it from happening. When you go to get gas, take your children in with you to pay the cashier. you don’t even have to get out of the car. extra trouble is worth it to keep your kids safe, within sight and alive. one minute, remember that ONE MINUTE IS ALL IT TAKES. Why risk it? there. 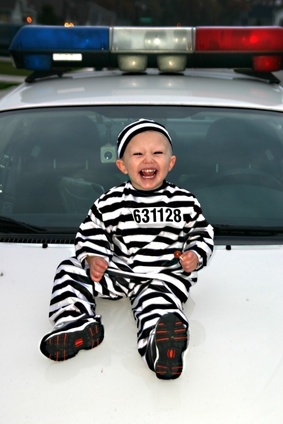 Don’t leave your kids alone in the car; don’t leave them unattended. Nurturing Magazine, an international natural parenting magazine.